So simple to make -- and such an easy recipe to read -- all you do is simply whisk the ingredients together to make the batter. 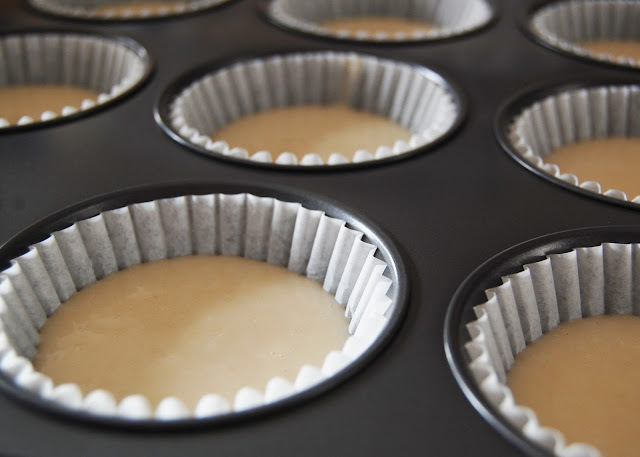 I loaded up the batter into the little paper cups, and got them ready for the oven. The recipe says that it only makes one dozen cupcakes, but I was able to get two dozen -- I was even being a little generous with the batter. 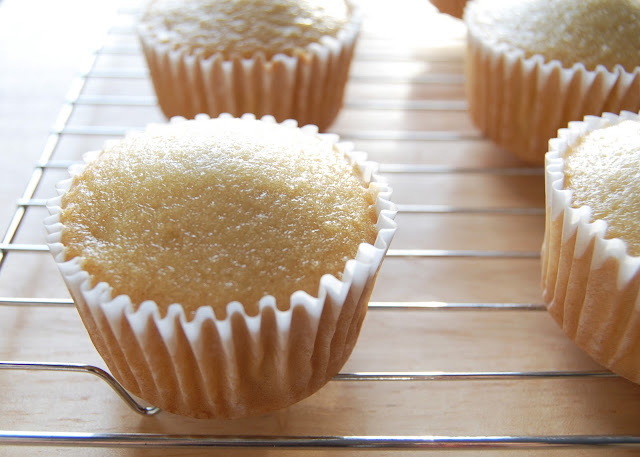 The cupcakes cooked so nicely, and were pretty much exactly the time that was given in the recipe -- remember that all ovens are different, and you know yours best! We tried the cupcakes before we even put any icing on them, and there was a different taste and texture about them that we weren't too sure about. But then we added icing to them, and -- kazing -- did they ever become delicious! 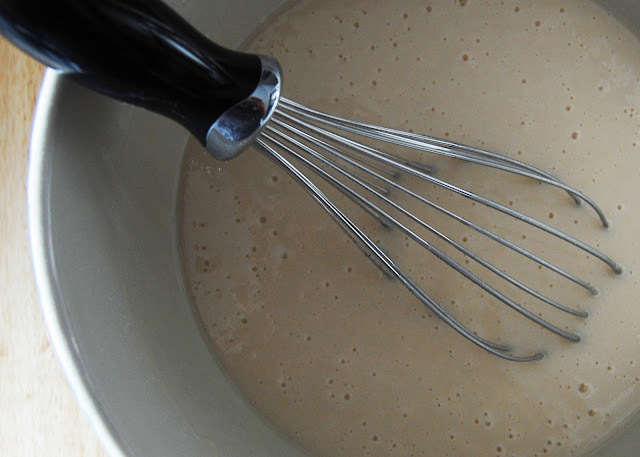 Elsie has a recipe for frosting in the same post, but I've never been good at making icing, so we just bought some from the store. They are still sooo good! My husband asks me to make them all the time. 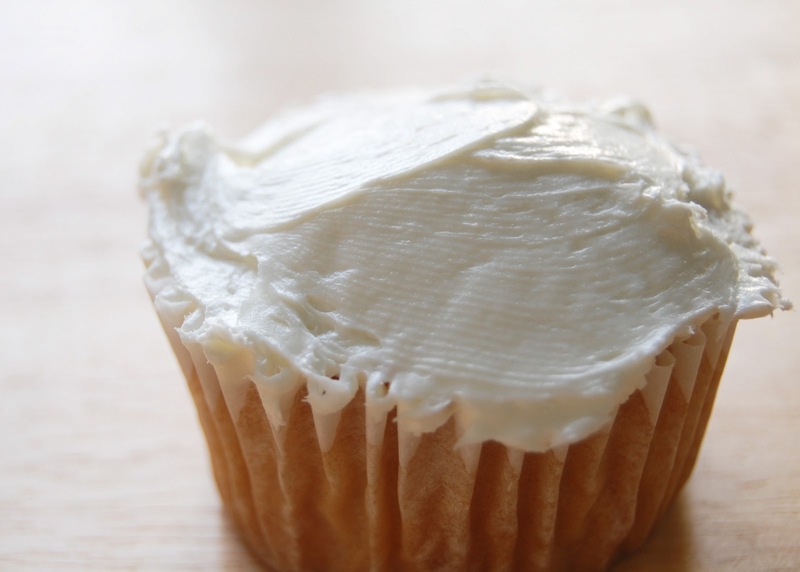 Since I found the recipe, I have made the vanilla cupcakes two times. The next time I make them will be for my son's birthday. I plan on getting cute little wrappers just for the occasion. PB & J cupcakes?! Yes please!